Have you Googled “patio doors Chesterfield” because you’ve decided it’s finally time for an upgrade at your property? 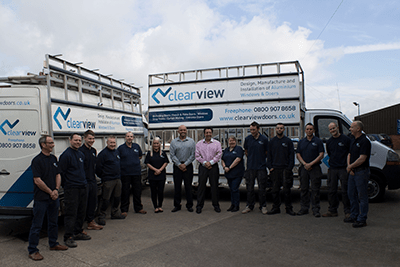 You have certainly come to the right place as that’s what ClearView specialises in. We look forward to helping you achieve your dream aesthetic. Call our friendly sales team today on 0800 1357 167 for a free quote, no strings attached! Welcome to ClearView where we specialise in supplying and installing sliding patio doors Chesterfield homeowners will absolutely love. Our high quality doors will give you easy access to the garden and provide additional security. Our high quality patio doors Chesterfield residents are recommending will transform your property in ways you could not have imagined before. You will be able to benefit from more light and a panoramic view. When your new Chesterfield patio doors are closed, they will complement your home with a striking glass façade. The aluminium profiles of our doors have been manufactured to provide ultimate strength and durability without compromising the aesthetic appeal. Why choose Chesterfield patio doors for your property? There are numerous benefits to opting for our patio doors Chesterfield over the alternative solutions available out there. Please keep reading to find out more about why our aluminium entrances will be the perfect choice for your property. 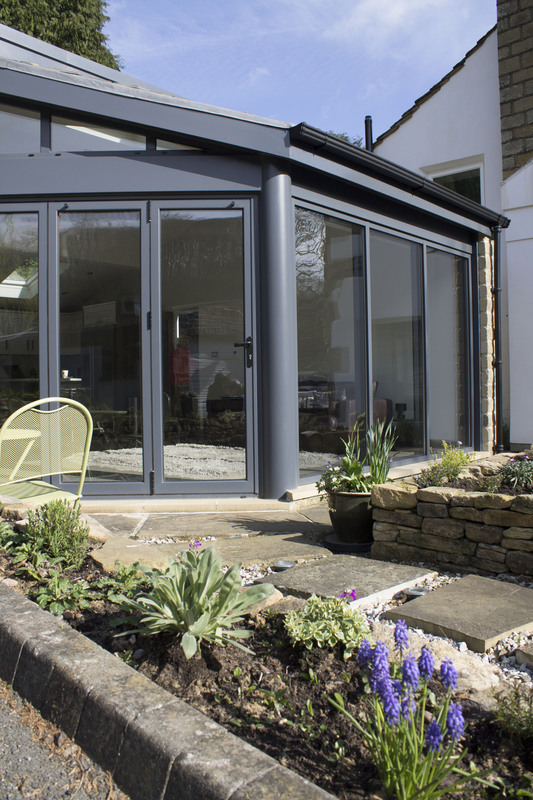 With slim sightlines allowing in ample amounts of natural light, our gorgeous aluminium patio doors in Chesterfield will be a visually striking solution while remaining highly functional. You will benefit from a full unobstructed view of your outside scenery. This is especially convenient during the warmer summer months when hosting outdoor barbecues and other fun gatherings where people will constantly be moving in and out of the house. You will be saving on energy thanks to the added amount of natural light that will get into your home through our Chesterfield patio doors. They will also let in cool air during the hot summer months. Regardless of whether you are looking to sell your property within the next few years or staying put for decades to come, increasing its market value is always desirable. Well-designed and carefully crafted patio doors like ours will therefore be an excellent investment opportunity. Aluminium patio doors Chesterfield that ClearView creates are extremely secure. All of them come pre-fitted with a multi-point locking system for maximum safety. ClearView has extensive experience in the sector, which makes us a go-to choice for anyone looking for the highest quality patio doors Chesterfield has ever seen. With more than a decade of experience in manufacturing, supplying and installing bespoke doors, you can rest assured knowing that we will offer you a completely stress-free purchasing process. Here at ClearView, we provide a full end to end solution. Regardless of whether you already know exactly what you want or you would prefer to speak to our team of professionals first, we are here to help. We will listen to your ideas closely and come up with the perfect design that has been tailored to your unique situation. Once your order for patio doors in Chesterfield has been confirmed, we will arrange for a suitable date to carry out an onsite survey, so we can get a full overview of what we will be working with. We prefer to take our own measurements to ensure complete accuracy. After this survey has been completed, the construction process begins. Our manufacturing process is unlike any in the industry, with methods that have been tried and tested for speed and efficiency. Upon completion, we will send an installation team over to your house to set the patio doors in place with no delay. 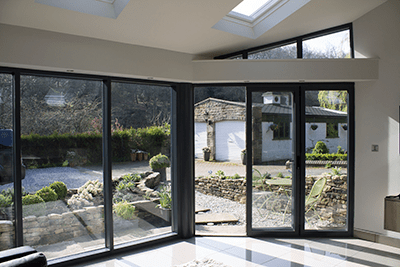 Are you now ready to get in touch with the ClearView team to start benefiting from the best patio doors Chesterfield can offer? Please don’t hesitate to get in touch with us by either calling 0800 1357 167 or filling out our simple online request form with your details. We will get back to you as soon as possible using your preferred method of contact!